Exciting news!!! 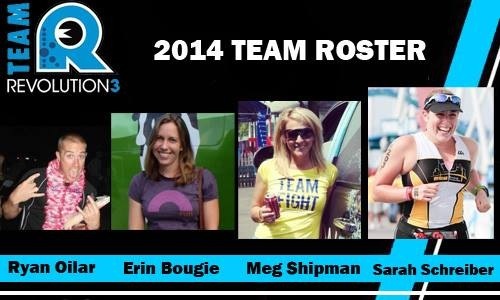 On Thursday night it was officially announced that I am a new member of the Team Rev3 for 2014!! I am seriously SO excited about this! As you know, I am a huge fan of Rev3 and had an awesome experience at the Cedar Point Full a few months ago. I’m starting to get to know my teammates and everyone just seems amazing….very nice, accomplished, and fun. I am so honored to have been chosen as a team member. I’ll be posting soon with my 2014 race plans once I talk it over with Coach Kim. The problem is I want to do all the Rev3 races next year. It will definitely be hard to choose! What’s your race schedule like for next year?